After a great day and night in a Dallas, we left this morning for Shreveport, Louisiana – our last stop on the roadtrip. 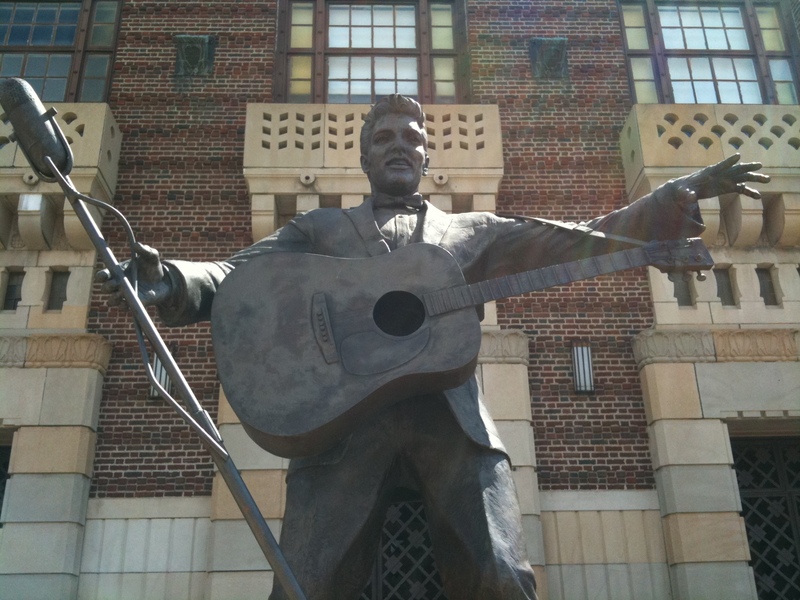 After three and a half hours, we arrived at the Shreveport Municipal Auditorium on Elvis Presley Avenue where Elvis Presley headlined the Louisiana Hayride in the 1950s. 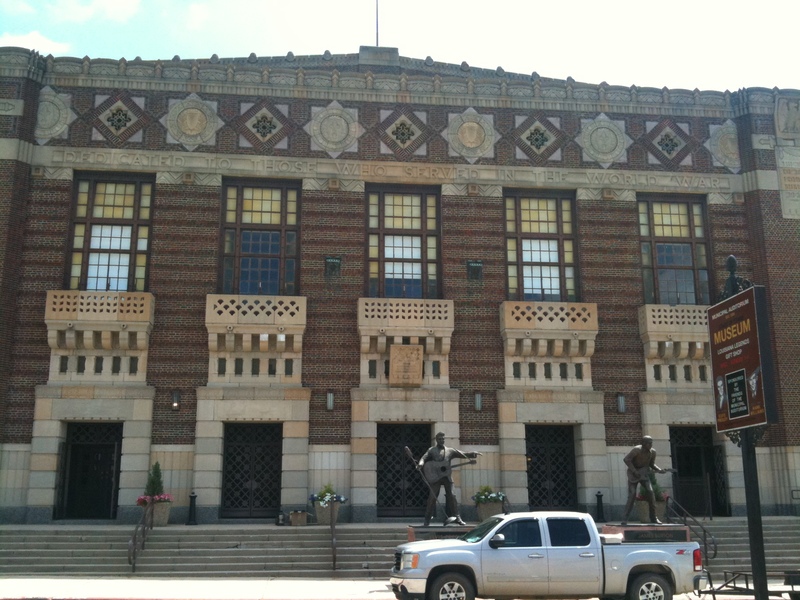 Many others such as Johnny Cash, Hank Williams, Patsy Cline, Jerry Lee Lewis and Dolly Parton also played there. 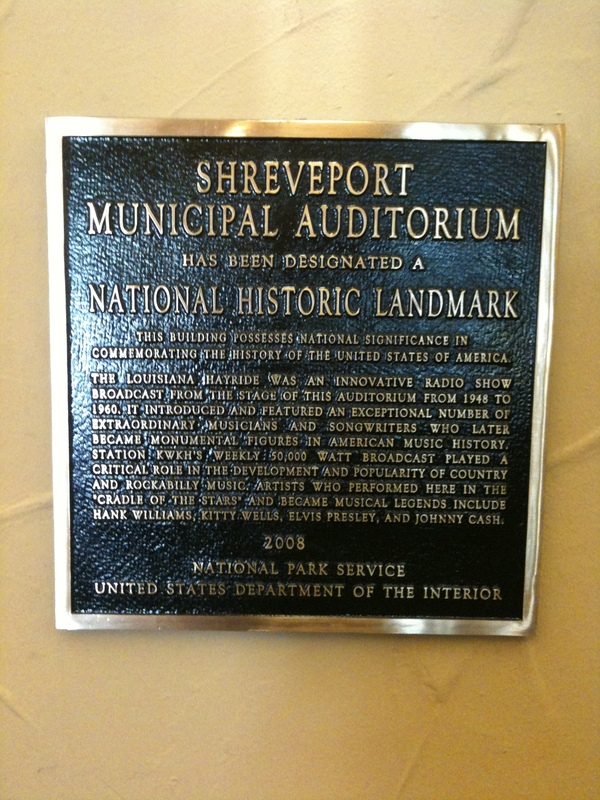 I really liked Shreveport. 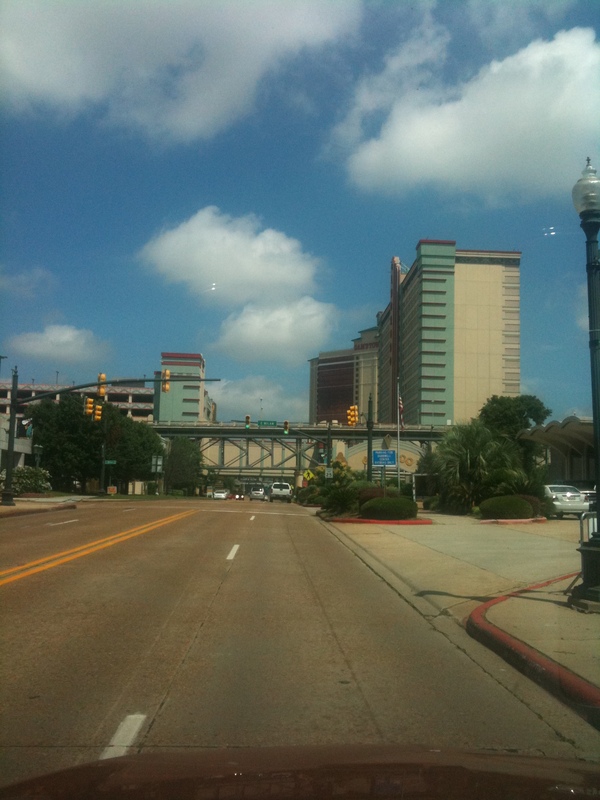 It was a small city with a riverfront area and casinos. I didn’t stay the night because I really didn’t need to spend the money on a hotel or the casinos, especially since I was in Vegas last month and I’m going to the casino in Delaware in a couple of weeks. 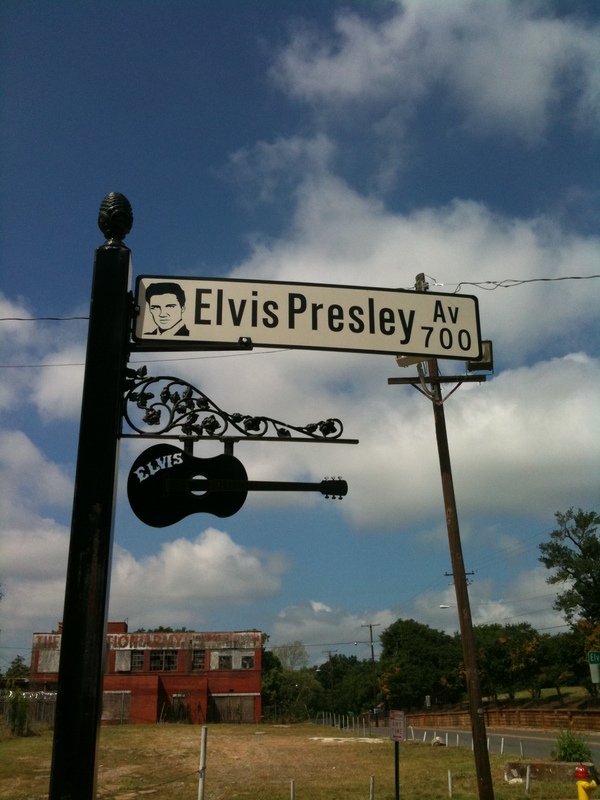 So we drove 5 hours home to Memphis. 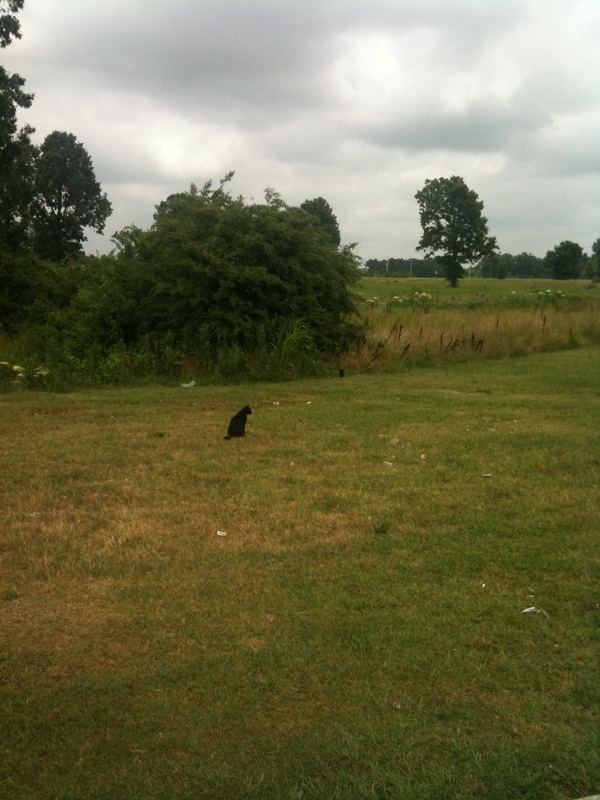 Along the way, we stopped and as the dogs were drinking in the back of the car, 2 cats approached. There was almost an incident, but luckily we avoided it. After 9 days and 2960 miles through 5 states, we are back in Memphis. It was a great roadtrip. I really enjoyed driving Route 66 from Tulsa to Albuquerque. 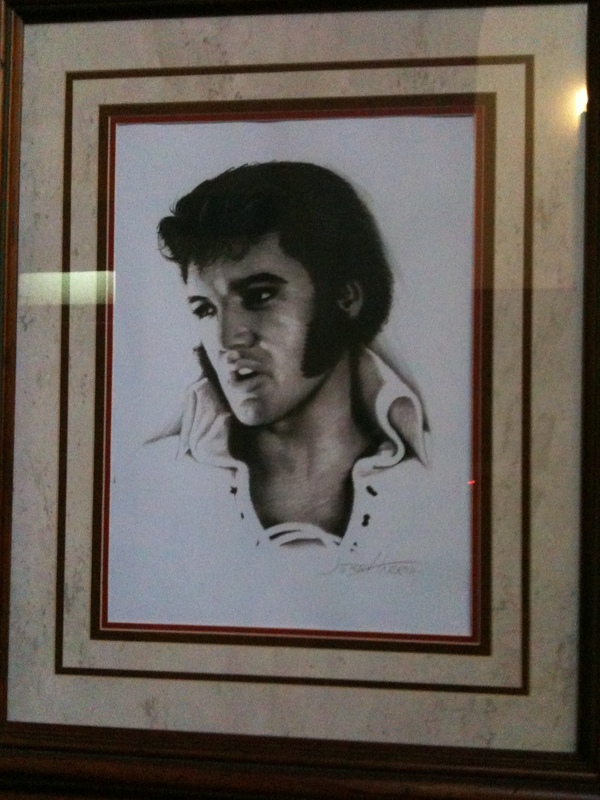 I loved the Big Texan Steak Ranch and Amarillo, as well as Dallas and Southfork. 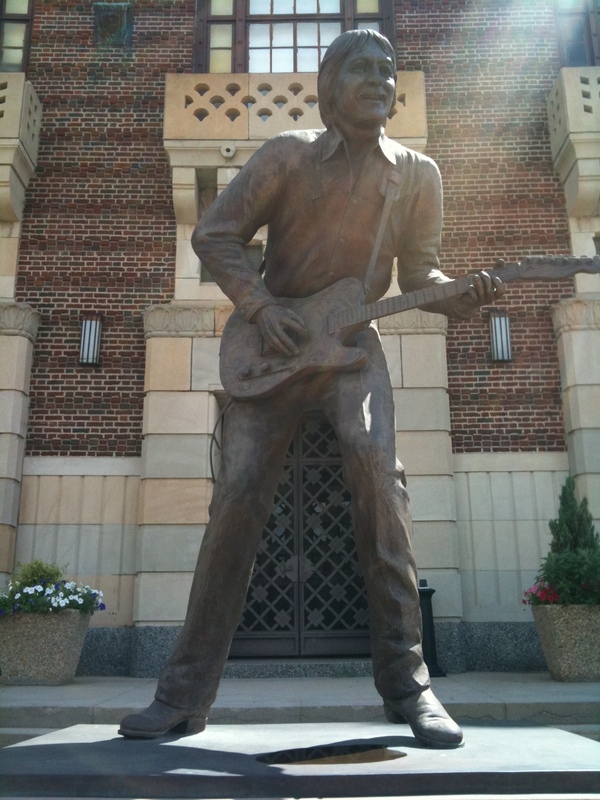 I didn’t love Lubbock, but I loved seeing all the Buddy Holly sites. 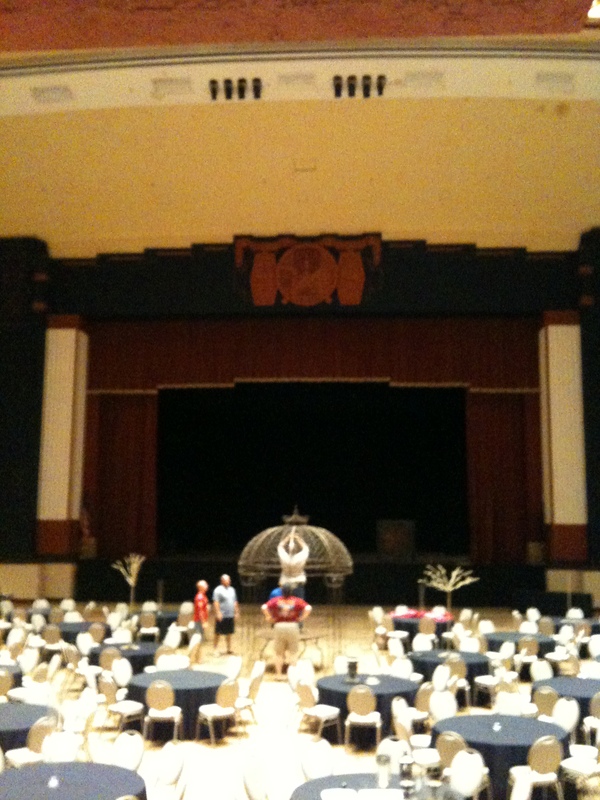 It was also great to see where the Louisiana Hayride took place. I didn’t love New Mexico or San Antonio, but I’m glad I went because I have always wanted to. And I would rather go somewhere and not like it, then to never go and always wonder what it is like.